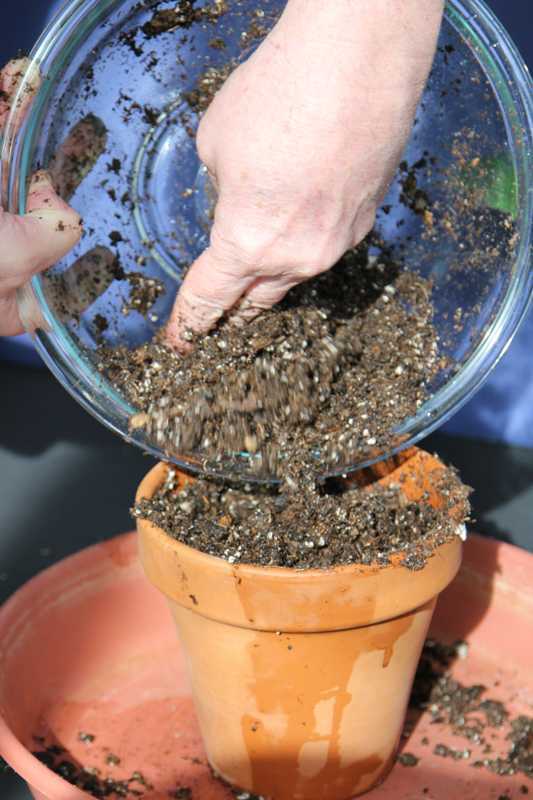 Layering is one of easist methods that can be used to start a new plant. 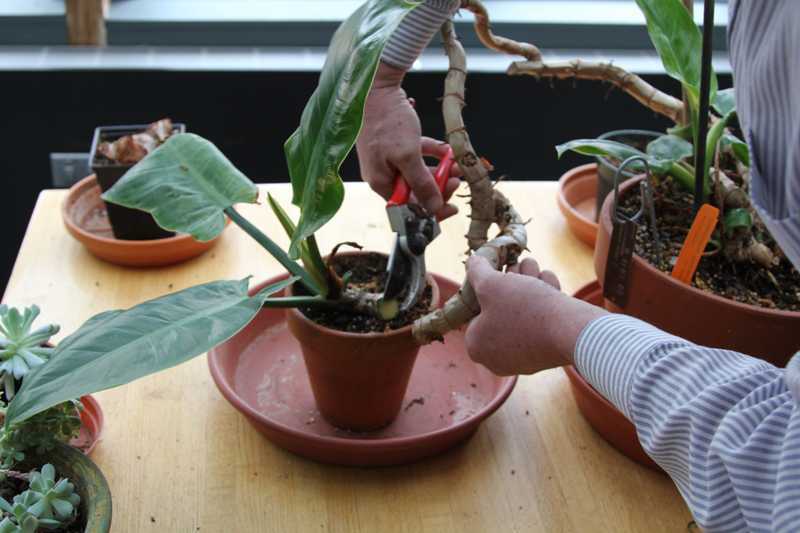 By keeping the plant attached to the mother plant while rooting is taking place you can be guaranteed of success and can also root a larger plant than you could by using cuttings. 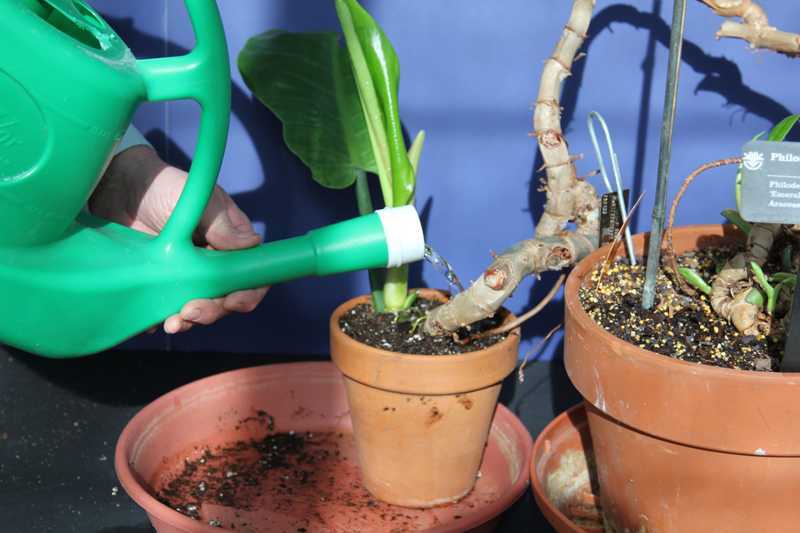 Select a plant (such as, a philodendron) with a cascading or spreading habit. 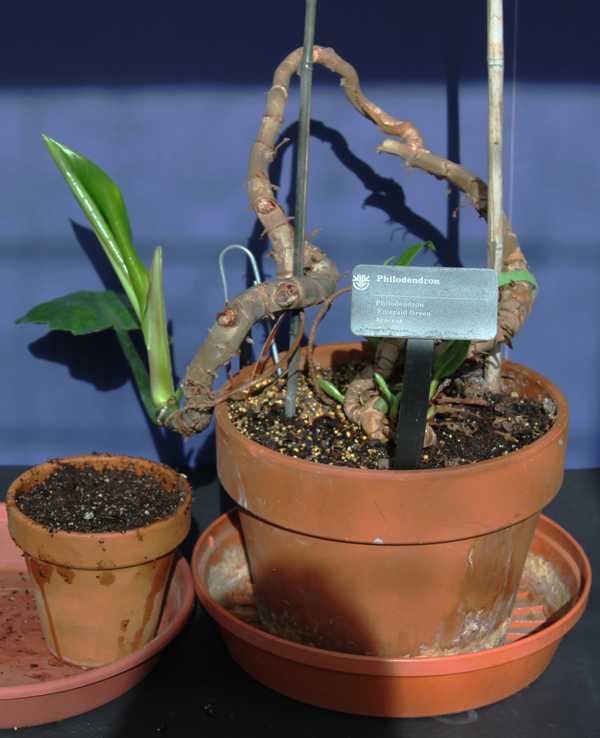 In this case, there is an added to reason to layer the plant as it is no longer attractive with the growing point way out on a "limb". 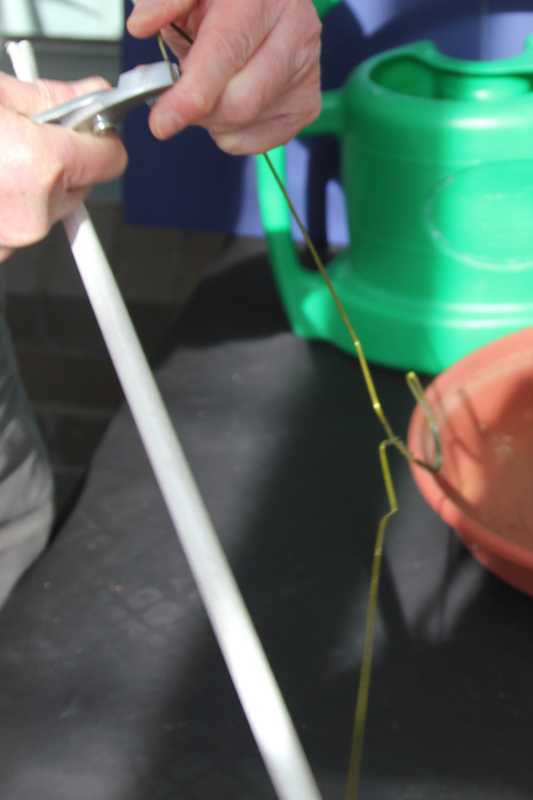 Cut a section of wire about 7-9 inches long and form it into a pin. 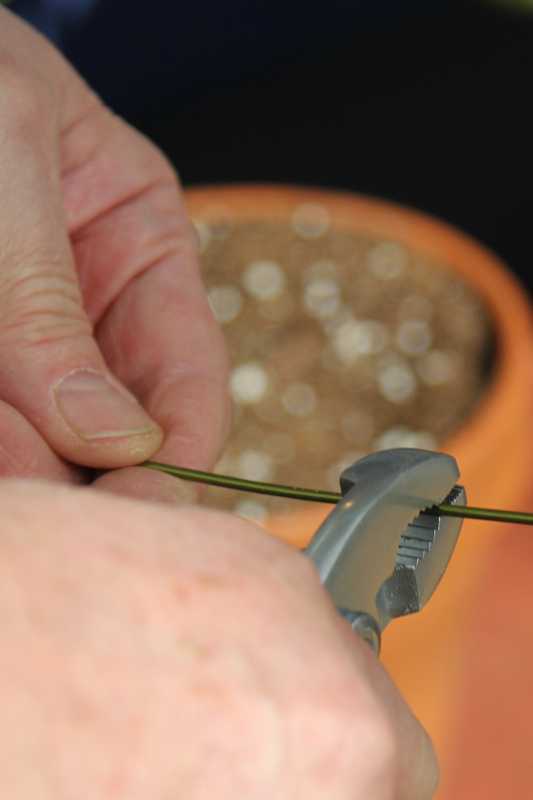 You could also cut a section of stiff wire from another source or use purchased landscape fabric pins if you don't want to make your own. 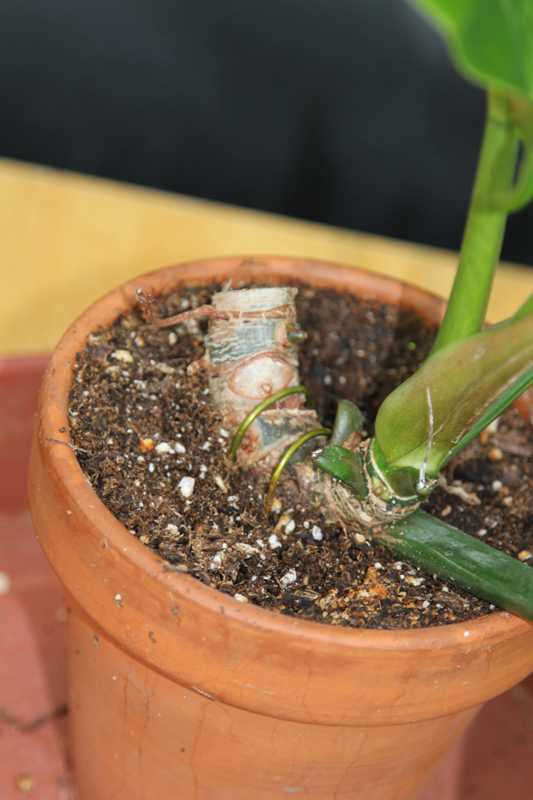 The pointed bumps on this philodendron stem are root initiatives. 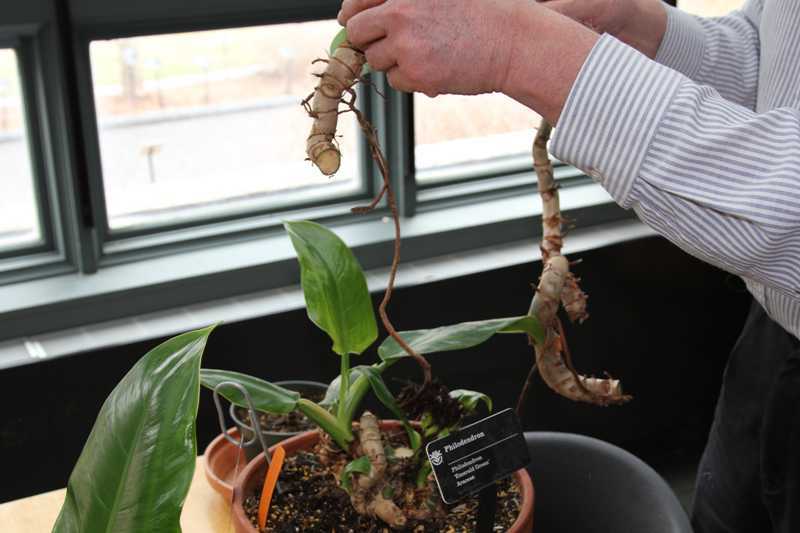 Roots will eventually grow from these root initiatives if kept in contact with moist soil. 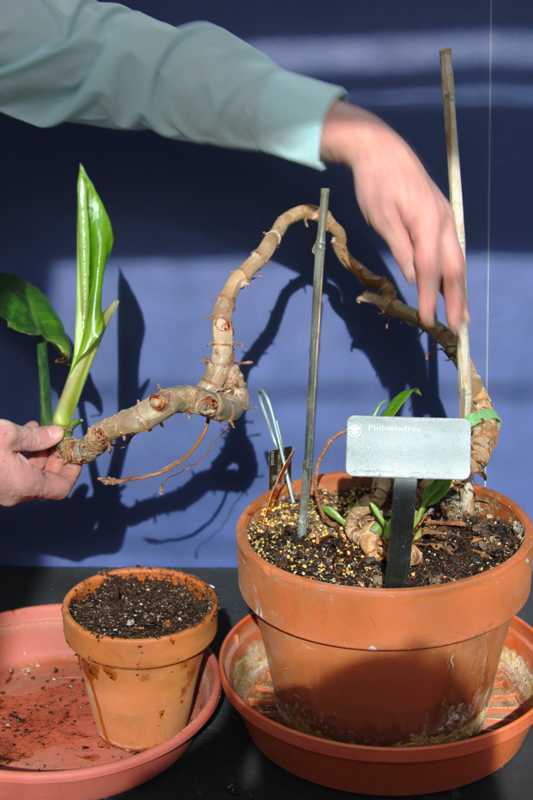 Choose an area of the stem with root initiatives as the layering point. Pin the stem down securely with the wire pins. In this case two pins were required to keep it in place. 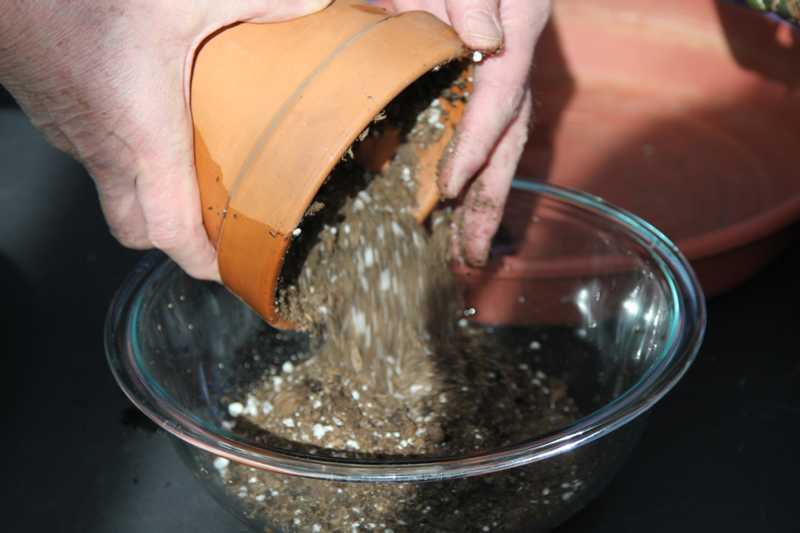 Carefully return the two pots to the plant's usual growing location. 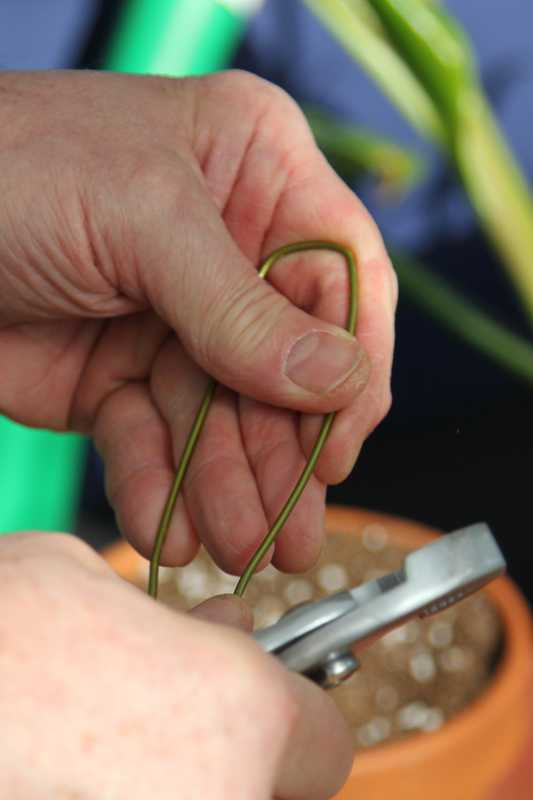 Check for rooting by removing the wire pins and gently tugging on the layered stem. 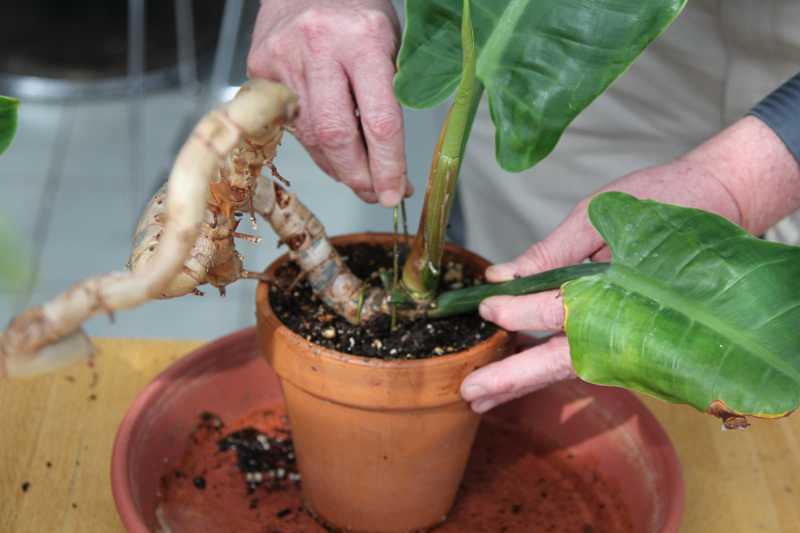 When properly rooted it will not come out of the soil. 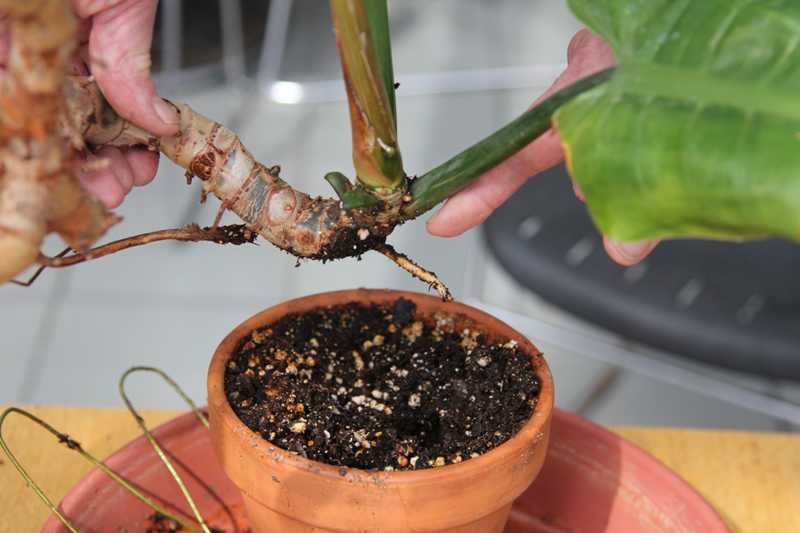 Here, a root has developed but rooting is not extensive enough to keep the plant from coming out of the soil when tugged. 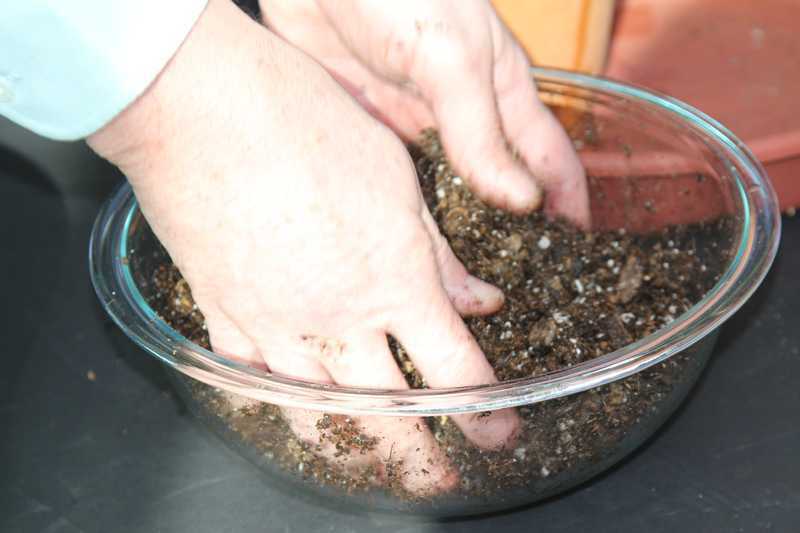 Put it back in the soil and secure it with pins. 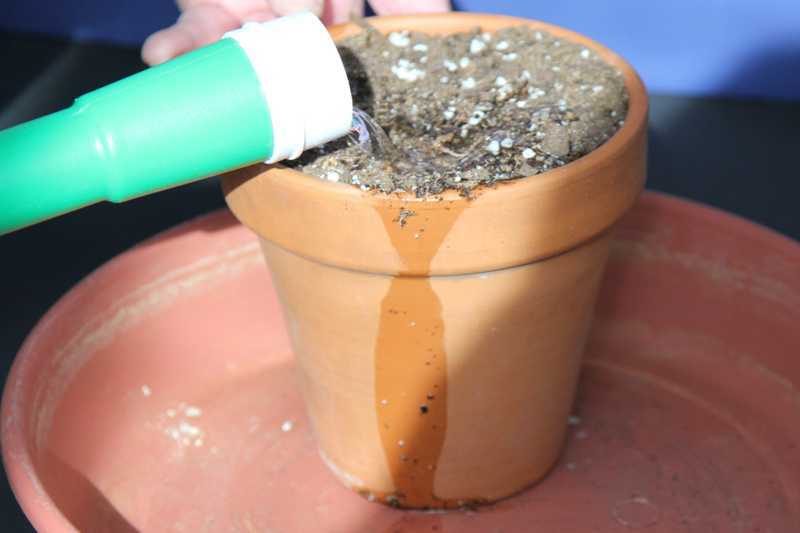 Rooting may take 1-2 months. 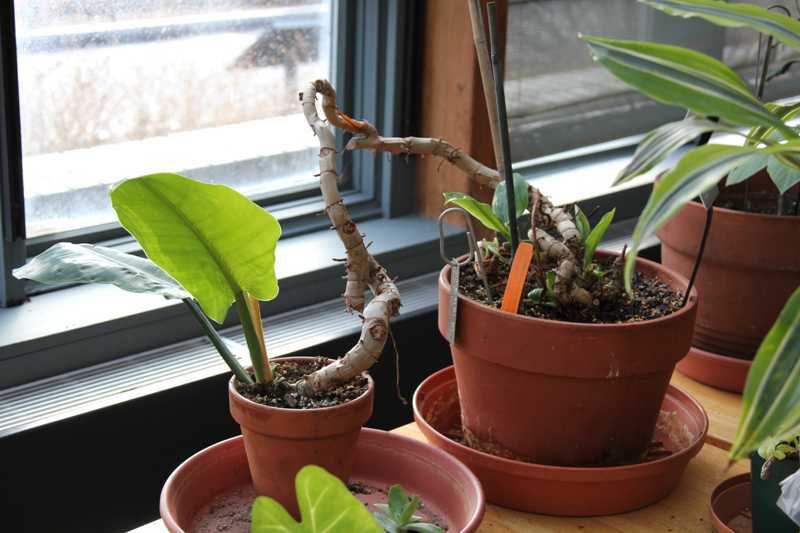 If rooting has not occurred, replace the wire pins and return the layered section of the plant and the mother plant to their usual growing location. 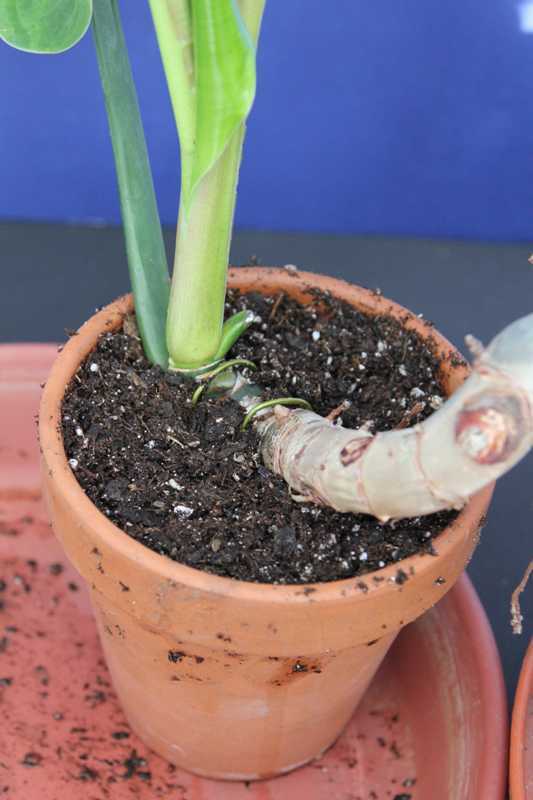 When the plant has rooted, cut the layered plant from the mother plant. 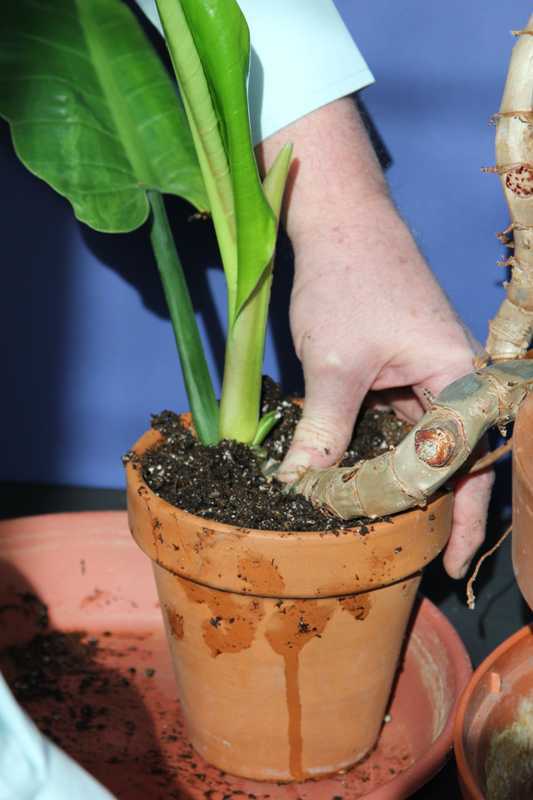 Your new plant can remain in this pot for several months or until it becomes root-bound. 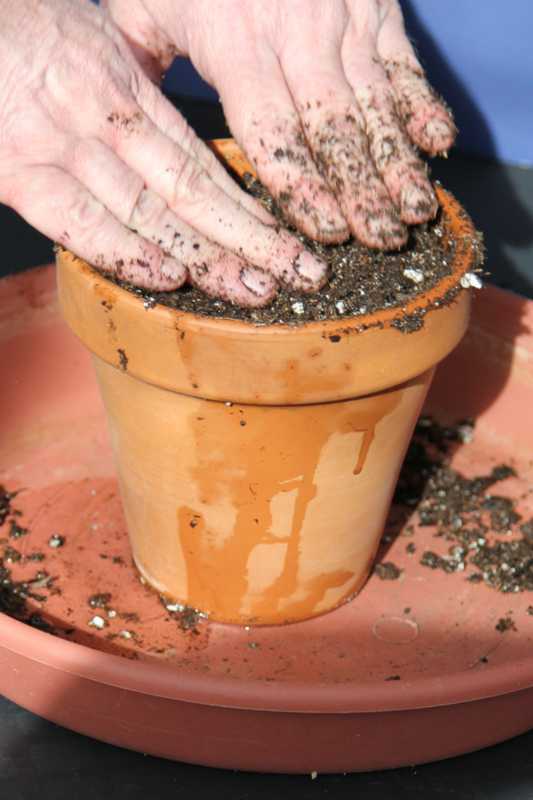 At that time it can be repotted into a larger pot. 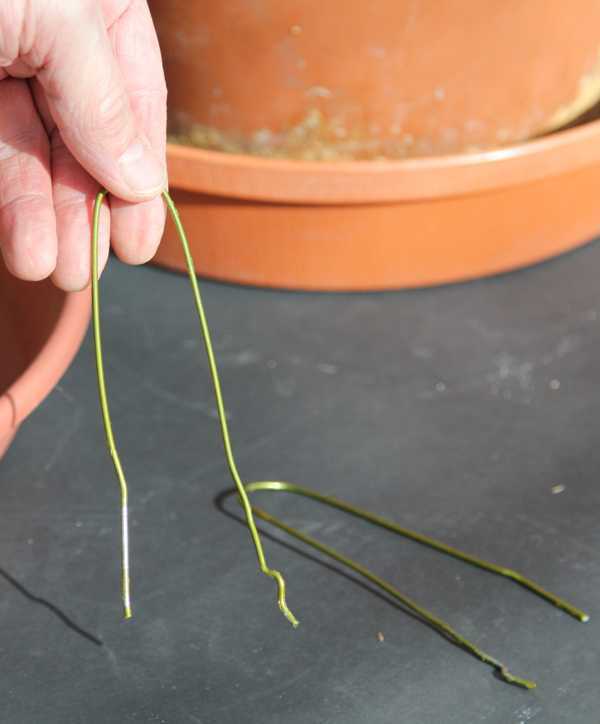 To encourage new growth from the center of the pot, the long stem should be trimmed back to about an inch or two from the soil. 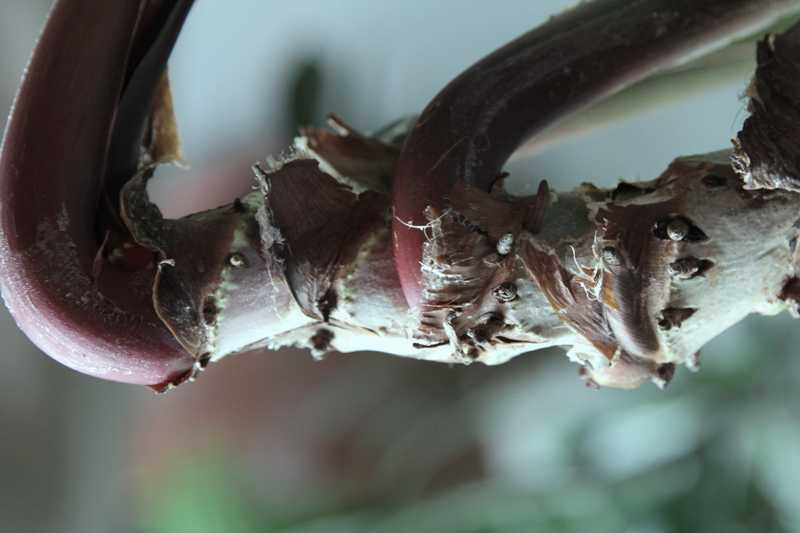 The long stem can be disposed of or cut into sections to make what are called "log" cuttings. 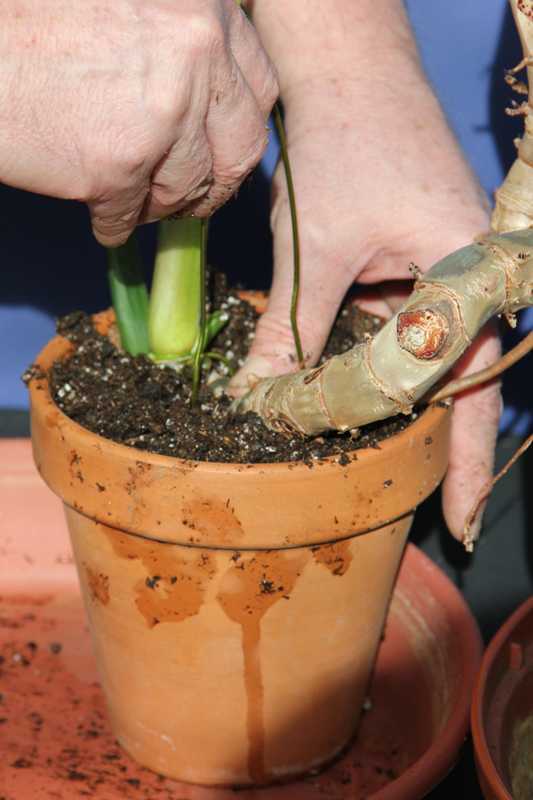 See "How to propagate plants from log cuttings." The plants are now ready to be placed in a suitable growing location. 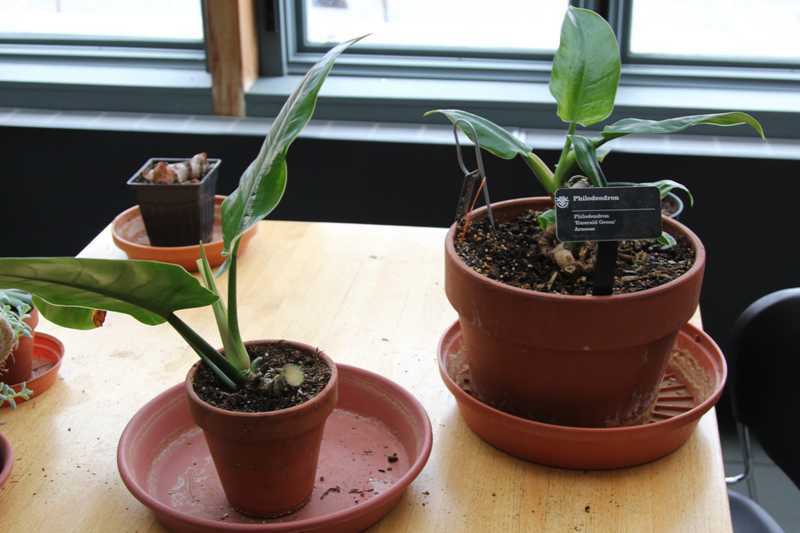 Bright light (but not direct sunlight for these philodendrons) will encourage good growth of the daugher plant. 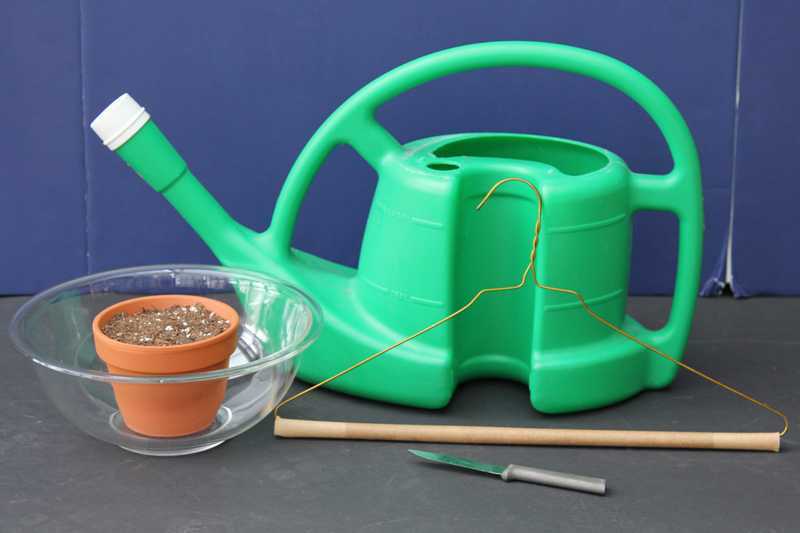 It will also encourage dormant buds on the mother plant to "break" and grow into new shoots resulting in a bushier plant.